They both look like great dresses! I haven't watched Men in Black 3 yet, but I'll have to look for that one. As I recall from the Wikipedia bio, Andy Warhol (or some of his TG associates) was an early influence on Lou Reed. 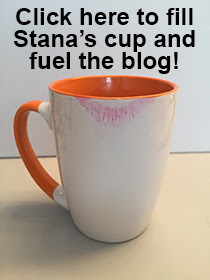 Nice post, Stana. The dresses look fantastic! I'm sure they will fit you well. Spending was an eye opener for me! I haven't done any figuring on my behalf (as far as taxes go) but I'm sure I've done similar spending. Especially with the constant purging and replenishment. I'll have to watch MIB 3 (haven't thus far) and 1969 was a very good year but I will admit, I really want to see the transvestite!